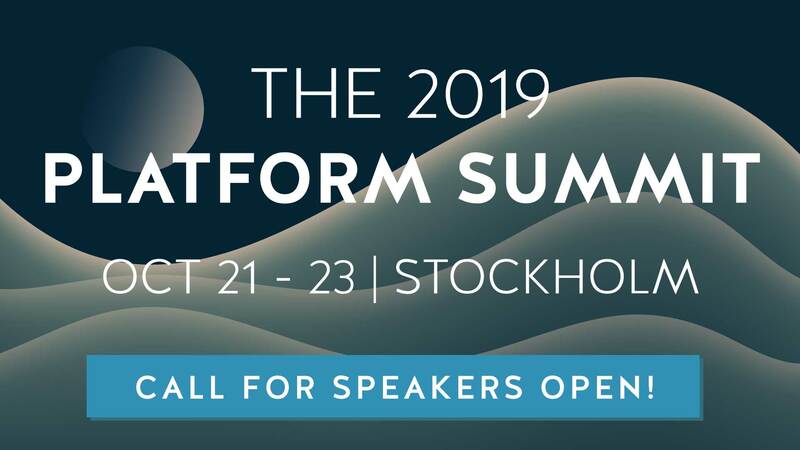 We want you to speak at Nordic APIs Platform Summit in Stockholm, Sweden 20-22 October. Join SoundCloud, LEGO, Kin Lane and many others on stage and take an active part in the Nordic APIs community. You will get valuable time in front of a knowledgable and influencial Nordic audience and be seen as one of the leaders of the industry. The theme of the conference is API Platforms, and we have defined what we mean with an API Platform in this blog post. In summary it is an API that is seen as critical by the organisation publishing it and allows developers to use it as a building block in their creations. This includes (but are not limited to) presentations about the Internet of Things, Open Data, Social Media, Mobile, Quantified Self, Startup API strategies, and Cloud Computing. We are very open to ideas so Contact us and we can discuss whatever idea you might have regarding Nordic APIs presentations. Send an email to Contact us with a short description of your presentation and yourself. If you have it please include links to your blog, published slides from previous presentations, links to any relevant videos etc (don’t worry if you don’t have all this, it is not critical). Do not hesitate to send us a mail if you have any questions or concerns, we want to hear from you. Presentations are 20 minutes long. 3 presentations about one central topic are grouped together into one block. After the 3 20 minute presentations there is a 15 minute panel debate where the 3 speakers participate. Nordic APIs Platform Summit takes place in Stockholm, Sweden 21-22 october (with workshops on the 20th). The 200+ participants are most likely Programmers, Enterprise Architects, Business Developers or similar and are probably from Sweden, Norway, Finland or Denmark (even if we last year had plenty of visitors that had travelled a lot farther than that). What we do NOT want are product pitches. If you want to pitch a product please mail Contact us to inquire about sponsorship and the demo track at the conference. How do we pick presentations? We want great stories and presentations that provide the audience with insights into how they can be better API practitioners. Will will pick presentations that fit into that as well as presentations that we can group into cohesive interesting blocks. The decisions are made by the Nordic APIs team and are final.